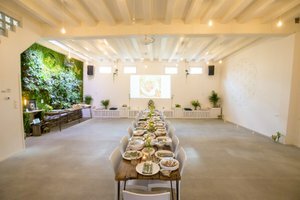 This 300 sqm space provides the perfect opportunity for your next event. 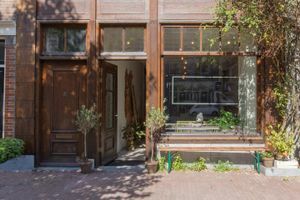 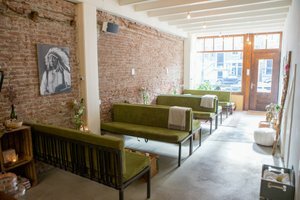 As Amsterdam’s first public carbon-neutral canal house, the venue understand that sustainability extends beyond their environmental footprint and moves into the business practices. 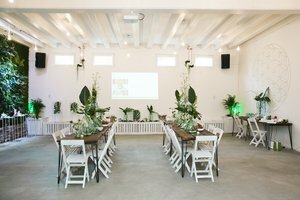 Built entirely out of organic and recycled materials, and with a massive 18m2 plant wall, this space is designed to make your events as concentrated, creative, and calming as possible. 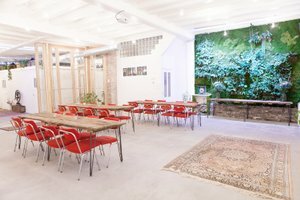 The owner offers a truly unique and inspiring environment for you and your clients. 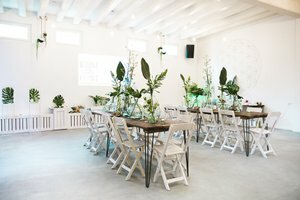 Whether it's for a successful business meeting, workshop, training, press event or a private dinner - you're in good hands.